PARIS: French President Emmanuel Macron sought to take the heat out of mass anti-government protests over taxes on Tuesday, saying he had heard the anger but would not change course. He offered minor concessions, saying he would propose a mechanism to adjust tax hikes when they occurred at the same time as an increase in oil prices internationally — as they have this year. And he called for a three-month national consultation to draw up a roadmap for accelerating the country’s transition away from fossil fuels — which he insisted remained his overall objective. “What I’ve taken from these last few days is that we shouldn’t change course because it is the right one and necessary,” he told lawmakers at the Elysee palace in Paris. 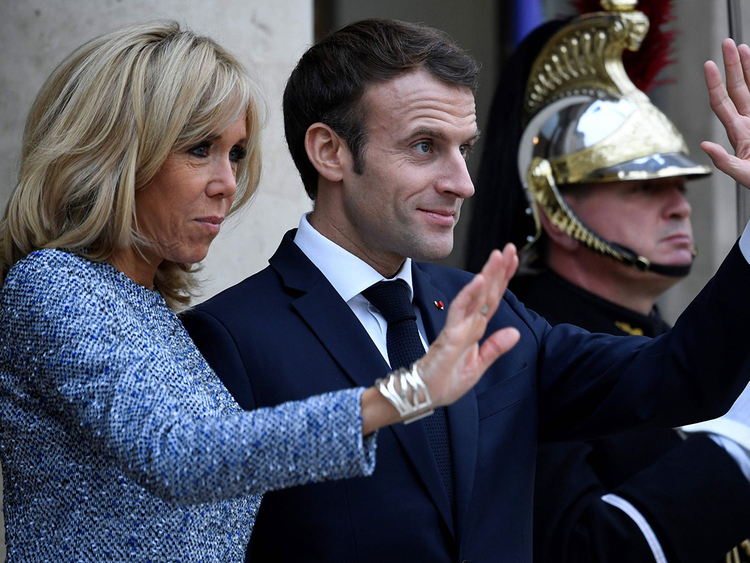 He conceded that many French people felt that taxes were “imposed from above” and promised to accelerate the work of the government to lighten the load for working families and cut public spending. One of the most frequent complaints from the so-called “yellow vests” is Macron’s perceived elitism, as well as his pro-business policies since taking office in May last year. “I have seen like many French people the difficulties for people who have to drive a lot and have problems making ends meet at the end of the month,” he said. Macron also used the speech on France’s energy transition — an address scheduled before the protests began — to announce a programme for closing nuclear reactors. France will shut down 14 of the country’s 58 nuclear reactors currently in operation by 2035, with between four and six closed by 2030, he announced. He also announced that France would close its remaining four coal-fired power plants as part of France’s anti-pollution efforts by 2022. France relies on nuclear power for nearly 72 per cent of its electricity needs. The government wants to reduce this to 50 per cent by 2030 or 2035 by developing more renewable energy sources.